ASHLEY GARCIA, Age Now: 16, Missing: 04/16/2019. Missing From NEW YORK, NY. ANYONE HAVING INFORMATION SHOULD CONTACT: New York City Police Department (New York) 1-212-694-7781. DEVIN MARKS, Age Now: 16, Missing: 04/15/2019. Missing From CORTLAND, NY. ANYONE HAVING INFORMATION SHOULD CONTACT: Cortland County SheriffÂ’s Department (New York) 1-607-753-3311. JOSEPH RIGLIONI, Age Now: 15, Missing: 04/17/2019. Missing From SIDNEY, NY. ANYONE HAVING INFORMATION SHOULD CONTACT: Sidney Police Department (New York) 1-607-561-2301. NICOLE FLOW, Age Now: 17, Missing: 04/08/2019. Missing From ALBANY, NY. ANYONE HAVING INFORMATION SHOULD CONTACT: Albany Police Department (New York) 1-518-438-4000. AAHRIANNA SANTOS, Age Now: 16, Missing: 04/02/2019. Missing From BROOKLYN, NY. ANYONE HAVING INFORMATION SHOULD CONTACT: New York Police Department (New York) 1-212-694-7781. LEXIE JOHNSON, Age Now: 16, Missing: 04/05/2019. Missing From BUFFALO, NY. ANYONE HAVING INFORMATION SHOULD CONTACT: Buffalo Police Department (New York) 1-716-851-4444. DE'AMONY JENKINS, Age Now: 16, Missing: 04/09/2019. Missing From FREEVILLE, NY. ANYONE HAVING INFORMATION SHOULD CONTACT: Albany Police Department (New York) 1-518-438-4000. KIMBERLY KNIGHT, Age Now: 17, Missing: 02/13/2019. Missing From YONKERS, NY. ANYONE HAVING INFORMATION SHOULD CONTACT: Hastings-On-Hudson Police Department (New York) 1-914-478-2344. JACARA LYMAN, Age Now: 16, Missing: 04/05/2019. Missing From ROCHESTER, NY. ANYONE HAVING INFORMATION SHOULD CONTACT: Rochester Police Department (New York) 1-585-428-6666. JASMINE HAGEN, Age Now: 14, Missing: 04/03/2019. Missing From ALBANY, NY. ANYONE HAVING INFORMATION SHOULD CONTACT: Albany Police Department (New York) 1-518-438-4000. DEMIA BROWN, Age Now: 15, Missing: 04/03/2019. Missing From ALBANY, NY. ANYONE HAVING INFORMATION SHOULD CONTACT: Albany Police Department (New York) 1-518-438-4000. KARLOS ADAMS, Age Now: 17, Missing: 04/04/2019. Missing From NEW YORK, NY. ANYONE HAVING INFORMATION SHOULD CONTACT: New York City Police Department (New York) 1-212-694-7781. RONIT KIRSCH, Age Now: 16, Missing: 01/23/2019. Missing From QUEENS VILLAGE, NY. ANYONE HAVING INFORMATION SHOULD CONTACT: New York City Police Department (New York) 1-212-694-7781 Or. SEAN BAXTER, Age Now: 16, Missing: 03/22/2019. Missing From SCHENECTADY, NY. ANYONE HAVING INFORMATION SHOULD CONTACT: Schenectady Police Department (New York) 1-518-382-5200. ADRIANNA BEST, Age Now: 14, Missing: 03/13/2019. Missing From ALBANY, NY. ANYONE HAVING INFORMATION SHOULD CONTACT: Albany City Police Department (New York) 1-518-438-4000. JULIAN JOYNER, Age Now: 16, Missing: 03/31/2019. Missing From ROCHESTER, NY. ANYONE HAVING INFORMATION SHOULD CONTACT: Greece Police Department (New York) 1-585-865-9200. CYNNETT BELL, Age Now: 15, Missing: 03/31/2019. Missing From BROOKLYN, NY. ANYONE HAVING INFORMATION SHOULD CONTACT: New York City Police Department (New York) 1-212-694-7781. DANIELLE SCHLAGER, Age Now: 16, Missing: 03/20/2019. Missing From ALBANY, NY. ANYONE HAVING INFORMATION SHOULD CONTACT: Albany Police Department (New York) 1-518-438-4000. TYSHAWN ASKIA, Age Now: 15, Missing: 03/18/2019. Missing From BUFFALO, NY. ANYONE HAVING INFORMATION SHOULD CONTACT: Buffalo City Police Department (New York) 1-716-853-2222. HEIDY CHAVEZ, Age Now: 19, Missing: 10/29/2015. Missing From BROOKLYN, NY. ANYONE HAVING INFORMATION SHOULD CONTACT: New York City Police Department (New York) 1-646-610-5030. WENDY BARRIOS-RAMIREZ, Age Now: 16, Missing: 03/25/2019. Missing From TARRYTOWN, NY. ANYONE HAVING INFORMATION SHOULD CONTACT: Westchester County Police Department (New York) 1-914-864-7701. STEVIE BATES, Age Now: 26, Missing: 04/27/2012. Missing From MANHATTAN, NY. ANYONE HAVING INFORMATION SHOULD CONTACT: Yonkers Police Department (New York) 1-914-377-7900. SAMANTHA KIBALO, Age Now: 20, Missing: 02/03/2001. Missing From SUFFERN, NY. ANYONE HAVING INFORMATION SHOULD CONTACT: Rockland County Sheriff's Office (New York 1-845-638-5400. NATALIAH LEBRON, Age Now: 15, Missing: 03/22/2019. Missing From NORTH TONAWANDA, NY. ANYONE HAVING INFORMATION SHOULD CONTACT: North Tonawanda Police Department (New York) 1-716-692-4111. MARIDAS ANDERSON, Age Now: 16, Missing: 03/18/2019. Missing From NEW YORK, NY. ANYONE HAVING INFORMATION SHOULD CONTACT: New York City Police Department (New York) 1-212-694-7781. YOXY ZUNIGA ROMERO, Age Now: 18, Missing: 12/25/2016. Missing From YONKERS, NY. ANYONE HAVING INFORMATION SHOULD CONTACT: Yonkers Police Department (New York) 1-914-377-7900. ARIANNA HOFFMAN, Age Now: 17, Missing: 03/12/2019. Missing From FORT EDWARD, NY. ANYONE HAVING INFORMATION SHOULD CONTACT: Fort Edward Village Police Department (New York) 1-518-747-6365. JASMINE WALLACE, Age Now: 15, Missing: 02/05/2019. Missing From FRESH MEADOWS, NY. ANYONE HAVING INFORMATION SHOULD CONTACT: New York Police Department (New York) 1-212-694-7781. ZAKARA JACKSON, Age Now: 15, Missing: 03/13/2019. Missing From ALBANY, NY. ANYONE HAVING INFORMATION SHOULD CONTACT: Albany Police Department (New York) 1-518-438-4000. DESTINY KELONE, Age Now: 16, Missing: 02/10/2019. Missing From ALBANY, NY. ANYONE HAVING INFORMATION SHOULD CONTACT: Albany City Police Department (New York) 1-518-438-4000. AYLA VASQUEZ, Age Now: 16, Missing: 02/15/2019. Missing From NEW YORK, NY. ANYONE HAVING INFORMATION SHOULD CONTACT: New York City Police Department (New York) 1-212-694-7781. JOHN BLEVINS, Age Now: 17, Missing: 02/26/2019. Missing From DEPEW, NY. ANYONE HAVING INFORMATION SHOULD CONTACT: Depew Police Department (New York) 1-716-683-1123. DAZIRE SILAS-GAYLE, Age Now: 15, Missing: 10/03/2018. Missing From QUEENS VILLAGE, NY. ANYONE HAVING INFORMATION SHOULD CONTACT: New York Police Department (New York) 1-212-694-7781. RUSSELL MORT, Age Now: 39, Missing: 05/05/1982. Missing From NIAGARA FALLS, NY. ANYONE HAVING INFORMATION SHOULD CONTACT: Niagara County Sheriff's Office (New York) 1-716-438-3393. SOMARA GEORGE, Age Now: 15, Missing: 01/28/2019. Missing From JAMAICA, NY. ANYONE HAVING INFORMATION SHOULD CONTACT: New York City Police Department (New York) 1-212-694-7781. JIHAD OTTS, Age Now: 15, Missing: 02/11/2019. Missing From SCHENECTADY, NY. ANYONE HAVING INFORMATION SHOULD CONTACT: Schenectady City Police Department (New York) 1-518-630-0911. ARELIS TAVARES, Age Now: 17, Missing: 01/08/2019. Missing From OCEANSIDE, NY. ANYONE HAVING INFORMATION SHOULD CONTACT: Nassau County Police Department (New York) 1-516-573-8800. MYA SMITH, Age Now: 15, Missing: 01/13/2019. Missing From NEW YORK, NY. ANYONE HAVING INFORMATION SHOULD CONTACT: New York Police Department (New York) 1-212-694-7781. ANGELA BERNADOTTE, Age Now: 20, Missing: 07/09/2015. Missing From PLEASANTVILLE, NY. ANYONE HAVING INFORMATION SHOULD CONTACT: Mount Pleasant Police Department (New York) 1-914-769-1941. TIFFANY WESTFORD, Age Now: 28, Missing: 11/13/1993. Missing From AMITYVILLE, NY. ANYONE HAVING INFORMATION SHOULD CONTACT: Suffolk County Police Department (New York) 1-631-852-6040. ICIS RIVERA, Age Now: 14, Missing: 01/11/2019. Missing From BRONX, NY. ANYONE HAVING INFORMATION SHOULD CONTACT: New York City Police Department (New York) 1-646-610-5030. CRISTAL GOMEZ, Age Now: 15, Missing: 12/07/2018. Missing From BROOKLYN, NY. ANYONE HAVING INFORMATION SHOULD CONTACT: New York City Police Department (New York) 1-718-636-6655. AKIRA BRINK, Age Now: 17, Missing: 12/29/2018. Missing From ALBANY, NY. ANYONE HAVING INFORMATION SHOULD CONTACT: Albany Police Department (New York) 1-518-438-4000. PATRICK ALFORD, Age Now: 16, Missing: 01/22/2010. Missing From BROOKLYN, NY. ANYONE HAVING INFORMATION SHOULD CONTACT: New York City Police Department (New York) 1-800-577-8477. RYLUNN THOMPSON, Age Now: 16, Missing: 01/05/2019. Missing From JAMESTOWN, NY. ANYONE HAVING INFORMATION SHOULD CONTACT: Jamestown Police Department (New York) 1-716-483-7536. EQUILLA HODRICK, Age Now: 42, Missing: 08/12/1985. Missing From BRONX, NY. ANYONE HAVING INFORMATION SHOULD CONTACT: New York City Police Department (New York) - Missing Persons Unit - 1-212-694-7781. IRIS MORALES, Age Now: 16, Missing: 12/28/2018. Missing From MONROE, NY. ANYONE HAVING INFORMATION SHOULD CONTACT: Brockton Police Department (Massachusetts) 1-508-941-0200. SIMIA CHANDLER, Age Now: 16, Missing: 12/19/2018. Missing From JOHNSTOWN, NY. ANYONE HAVING INFORMATION SHOULD CONTACT: Johnstown Police Department (New York) 1-518-736-4021. ARIANNA MCCLENDON, Age Now: 17, Missing: 12/22/2018. Missing From ALBANY, NY. ANYONE HAVING INFORMATION SHOULD CONTACT: Albany City Police Department (New York) 1-518-438-4000. CHALAYA CAMERON, Age Now: 17, Missing: 09/07/2018. Missing From BUFFALO, NY. ANYONE HAVING INFORMATION SHOULD CONTACT: Buffalo Police Department (New York) 1-716-851-4545. JOSEPH FARRELL, Age Now: 17, Missing: 02/11/2017. Missing From BRONX, NY. ANYONE HAVING INFORMATION SHOULD CONTACT: New York City Police Department (New York) 1-212-694-7781. HANNAH SIMPSON, Age Now: 16, Missing: 11/08/2018. Missing From MASTIC BEACH, NY. ANYONE HAVING INFORMATION SHOULD CONTACT: Suffolk County Police Department (New York) 1-631-852-2677. ANA LUCRECIA TZAPUT CHOX, Age Now: 17, Missing: 12/04/2018. Missing From BRONX, NY. ANYONE HAVING INFORMATION SHOULD CONTACT: New York City Police Department (New York) 1-212-694-7781. JAYDEN DOWLING, Age Now: 17, Missing: 11/26/2018. Missing From LOCKPORT, NY. ANYONE HAVING INFORMATION SHOULD CONTACT: Niagara County Sheriff's Office (New York) 1-716-438-3393. PRINCESS PEREZ, Age Now: 25, Missing: 06/15/1996. Missing From BRONX, NY. ANYONE HAVING INFORMATION SHOULD CONTACT: New York City Police Department (New York) 1-212-694-7781. AJAHINIQUE UNDERWOOD, Age Now: 18, Missing: 09/29/2018. Missing From LOCKPORT, NY. ANYONE HAVING INFORMATION SHOULD CONTACT: New York State Police (Lockport, New York) 1-716-434-5589. JAYLENE JIMENEZ, Age Now: 15, Missing: 06/03/2018. Missing From BROOKLYN, NY. ANYONE HAVING INFORMATION SHOULD CONTACT: New York Police Department (New York) 1-212-694-7781. ARDEN FUSS, Age Now: 7, Missing: 06/19/2018. Missing From RHINEBECK, NY. ANYONE HAVING INFORMATION SHOULD CONTACT: FBI (New York) 1-212-384-1000. STEVEN DAMMAN, Age Now: 66, Missing: 10/31/1955. Missing From EAST MEADOW, NY. ANYONE HAVING INFORMATION SHOULD CONTACT: Nassau County Police Department (New York) 1-516-573-7000. NAHOMI GRANT, Age Now: 16, Missing: 06/22/2018. Missing From NEW YORK, NY. ANYONE HAVING INFORMATION SHOULD CONTACT: New York Police Department (New York) 1-212-694-7781. JAQUAN ROBERTSON, Age Now: 17, Missing: 08/10/2018. Missing From BUFFALO, NY. ANYONE HAVING INFORMATION SHOULD CONTACT: Amherst Town Police Department (New York) 1-716-689-1311. URSULA GAUTHO, Age Now: 18, Missing: 04/24/2018. Missing From NEW YORK, NY. ANYONE HAVING INFORMATION SHOULD CONTACT: New York City Police Department (New York) 1-212-694-7781. ROMEO HIGGINS, Age Now: 18, Missing: 08/20/2018. Missing From ROCHESTER, NY. ANYONE HAVING INFORMATION SHOULD CONTACT: Rochester City Police Department (New York) 1-585-428-6666. JUAN RIVERA-NAVA, Age Now: 18, Missing: 07/20/2018. Missing From LEROY, NY. ANYONE HAVING INFORMATION SHOULD CONTACT: Genesee County Sheriff's Office (New York) 1-585-343-5000. MARVIN ARCHAGA-MARTEL, Age Now: 14, Missing: 07/10/2018. Missing From ROCHESTER, NY. ANYONE HAVING INFORMATION SHOULD CONTACT: Town of Greece Police Department (New York) 1-585-865-9200. LINDA ST. GERMAINE, Age Now: 58, Missing: 02/13/1973. Missing From PERU, NY. ANYONE HAVING INFORMATION SHOULD CONTACT: State Police Plattsburgh (New York) 1-518-563-3761. CARLEIGH VASAVADA, Age Now: 17, Missing: 05/25/2018. Missing From ROCHESTER, NY. ANYONE HAVING INFORMATION SHOULD CONTACT: Greece Police Department (New York) 1-585-528-2220. DANIELLE ROBINSON, Age Now: 16, Missing: 05/30/2018. Missing From STATEN ISLAND, NY. ANYONE HAVING INFORMATION SHOULD CONTACT: New York City Police Department (New York) 1-212-694-7781. NOLUENN JOUAN SAID, Age Now: 14, Missing: 07/29/2013. Missing From NEW YORK, NY. ANYONE HAVING INFORMATION SHOULD CONTACT: FBI (New York) 1-212-384-5000. RANDY MACIUBA, Age Now: 60, Missing: 10/21/1977. Missing From LACKAWANNA, NY. ANYONE HAVING INFORMATION SHOULD CONTACT: Lackawanna City Police Department (New York) 1-716-822-4900. SHERYL TILLINGHAST, Age Now: 63, Missing: 09/24/1973. Missing From WASSAIC, NY. ANYONE HAVING INFORMATION SHOULD CONTACT: New York State Police (New York) 1-845-677-7325. AZARIA ROBINSON, Age Now: 17, Missing: 07/29/2017. Missing From BROOKLYN, NY. ANYONE HAVING INFORMATION SHOULD CONTACT: New York City Police Department (New York) 1-718-574-0411. SULAY ANDINO, Age Now: 17, Missing: 03/20/2018. Missing From NEW YORK, NY. ANYONE HAVING INFORMATION SHOULD CONTACT: New York City Police Department (New York) 1-212-694-7781. JEANENE BOWMAN, Age Now: 59, Missing: 02/10/1977. Missing From BUFFALO, NY. ANYONE HAVING INFORMATION SHOULD CONTACT: Buffalo Police Department (New York) 1-716-851-4444. ALEXANDRA VOLOVOY, Age Now: 13, Missing: 01/09/2013. Missing From BROOKLYN, NY. ANYONE HAVING INFORMATION SHOULD CONTACT: New York Police Department (New York) 1-212-694-7781. SAMIYAH SPENCER, Age Now: 17, Missing: 01/08/2018. Missing From CROTON, NY. ANYONE HAVING INFORMATION SHOULD CONTACT: New York State Police 1-914-737-7171. CHRISTIAN AZUCENA DELGADO, Age Now: 18, Missing: 01/18/2018. Missing From BRENTWOOD, NY. ANYONE HAVING INFORMATION SHOULD CONTACT: Suffolk County Police Department (New York) 1-631-852-2677. PATRICE EVANS, Age Now: 15, Missing: 01/13/2018. Missing From ROOSEVELT, NY. ANYONE HAVING INFORMATION SHOULD CONTACT: Nassau County Police Department (New York) 1-516-573-8800. KELLY MORRISSEY, Age Now: 50, Missing: 06/12/1984. Missing From LYNBROOK, NY. ANYONE HAVING INFORMATION SHOULD CONTACT: Nassau County Police Department (New York) - Missing Persons Unit 1-516-573-5336. EMILY JUAN, Age Now: 15, Missing: 09/05/2004. Missing From FLUSHING, NY. ANYONE HAVING INFORMATION SHOULD CONTACT: New York City Police Department (New York) 1-212-452-0600 or. RONY BENITEZ HERNANDEZ, Age Now: 17, Missing: 10/04/2017. Missing From ROCHESTER, NY. ANYONE HAVING INFORMATION SHOULD CONTACT: Gates Police Department (New York) 1-585-247-2262. KIMBERLI AMAYA, Age Now: 17, Missing: 09/29/2017. Missing From FLUSHING, NY. ANYONE HAVING INFORMATION SHOULD CONTACT: New York City Police Department (New York) 1-212-694-7781. TAMMIE MCCORMICK, Age Now: 46, Missing: 04/29/1986. Missing From SARATOGA SPRINGS, NY. ANYONE HAVING INFORMATION SHOULD CONTACT: Saratoga Springs City Police Department (New York) 1-518-584-1800. STEVEY SOMMERVILLE, Age Now: 43, Missing: 09/06/1990. Missing From BROOKLYN, NY. ANYONE HAVING INFORMATION SHOULD CONTACT: New York City Police Department (New York) 1-212-694-7781. SHILAH CARTER, Age Now: 18, Missing: 07/21/2017. Missing From PLEASANTVILLE, NY. ANYONE HAVING INFORMATION SHOULD CONTACT: Mount Pleasant Town Police Department (New York) 1-914-769-1941. TIFFANY DIXON, Age Now: 39, Missing: 10/10/1991. Missing From BROOKLYN, NY. ANYONE HAVING INFORMATION SHOULD CONTACT: New York City Police Department (New York) - Missing Persons Unit - 1-212-694-7781. SHARAUN COLE, Age Now: 48, Missing: 02/25/1983. Missing From NEW YORK, NY. ANYONE HAVING INFORMATION SHOULD CONTACT: New York City Police Department (New York) - Missing Persons - 1-212-694-7781. ANDRE BRYANT, Age Now: 30, Missing: 03/29/1989. Missing From BROOKLYN, NY. ANYONE HAVING INFORMATION SHOULD CONTACT: New York City Police Department (New York) 1-212-694-7781. MITCHEL WEISER, Age Now: 62, Missing: 07/27/1973. Missing From NARROWSBURG, NY. ANYONE HAVING INFORMATION SHOULD CONTACT: Sullivan County Sheriff's Department (New York) 1-845-794-7100. LIZZIE GRANT, Age Now: 19, Missing: 05/20/2017. Missing From PLEASANTVILLE, NY. ANYONE HAVING INFORMATION SHOULD CONTACT: Mount Pleasant Police Department (New York) 1-914-769-1941. LEANNE HAUSBERG, Age Now: 34, Missing: 03/18/1999. Missing From BROOKLYN, NY. ANYONE HAVING INFORMATION SHOULD CONTACT: New York City Police Department (New York) 1-212-473-2042. JEREMIAH HUGER, Age Now: 38, Missing: 06/25/1985. Missing From BRONX, NY. ANYONE HAVING INFORMATION SHOULD CONTACT: New York City Police Department (New York) - Missing Persons Unit - 1-212-694-7781. ALICE PEREIRA, Age Now: 52, Missing: 07/07/1972. Missing From STATEN ISLAND, NY. ANYONE HAVING INFORMATION SHOULD CONTACT: New York City Police Department (New York) 1-212-694-7781. THOMAS MEUSE, Age Now: 62, Missing: 08/09/1971. Missing From SCHENECTADY, NY. ANYONE HAVING INFORMATION SHOULD CONTACT: Schenectady City Police Department (New York) 1-518-382-5263. ARKADIY TASHMAN, Age Now: 31, Missing: 01/26/2005. Missing From STATEN ISLAND, NY. ANYONE HAVING INFORMATION SHOULD CONTACT: New York City Police Department (New York) 1-212-694-7781. STEVEN CHAIT, Age Now: 67, Missing: 03/13/1972. Missing From NEW YORK, NY. ANYONE HAVING INFORMATION SHOULD CONTACT: New York City Police Department (New York) 1-212-694-7781. DIANA NEWSOME, Age Now: 19, Missing: 12/05/2016. Missing From BRONX, NY. ANYONE HAVING INFORMATION SHOULD CONTACT: New York City Police Department (New York) 1-212-694-7781. MONIQUE SANTIAGO, Age Now: 40, Missing: 03/29/1990. Missing From ALBANY, NY. ANYONE HAVING INFORMATION SHOULD CONTACT: Albany Police Department (New York) 1-518-438-4000. ESSENCE TERRERO, Age Now: 20, Missing: 05/03/2016. Missing From HAWTHORNE, NY. ANYONE HAVING INFORMATION SHOULD CONTACT: Mount Pleasant Police Department (New York) 1-914-769-1941. NIKHITA JAGTIANI, Age Now: 9, Missing: 09/14/2013. Missing From NEW YORK, NY. ANYONE HAVING INFORMATION SHOULD CONTACT: Federal Bureau of Investigation (New York) 1-212-384-1000. CESILIA PENA, Age Now: 56, Missing: 10/06/1976. Missing From NEW YORK, NY. ANYONE HAVING INFORMATION SHOULD CONTACT: New York City Police Department (New York) - Missing Persons Unit - 1-212-694-7781. TIAHEASE JACKSON, Age Now: 46, Missing: 08/14/1983. Missing From STATEN ISLAND, NY. ANYONE HAVING INFORMATION SHOULD CONTACT: New York City Police Department (New York) - Missing Persons Unit. DOMONIQUE HOLLEY-GRISHAM, Age Now: 26, Missing: 02/12/2009. Missing From ROCHESTER, NY. ANYONE HAVING INFORMATION SHOULD CONTACT: Rochester Police Department (New York) 1-585-428-6720. BONITA BICKWIT, Age Now: 61, Missing: 07/27/1973. Missing From NARROWSBURG, NY. ANYONE HAVING INFORMATION SHOULD CONTACT: Sullivan County Sheriff's Department (New York) 1-845-794-7100. JANICE FULLAM, Age Now: 54, Missing: 10/30/1981. Missing From HAUPPAUGE, NY. ANYONE HAVING INFORMATION SHOULD CONTACT: Suffolk County Police Department (New York) 1-631-852-6000. SHANE WALKER, Age Now: 31, Missing: 08/10/1989. Missing From NEW YORK, NY. ANYONE HAVING INFORMATION SHOULD CONTACT: New York City Police Department (New York) 1-212-694-7781. TIRREL SANTIAGO, Age Now: 30, Missing: 08/20/2005. Missing From BROOKLYN, NY. ANYONE HAVING INFORMATION SHOULD CONTACT: New York Police Department (New York) 1-212-694-7781. COLIN GILLIS, Age Now: 25, Missing: 03/11/2012. Missing From TUPPER LAKE, NY. ANYONE HAVING INFORMATION SHOULD CONTACT: New York State Police 1-518-897-2000. SHAUNTAY GILLIAM, Age Now: 22, Missing: 09/01/2015. Missing From PLEASANTVILLE, NY. ANYONE HAVING INFORMATION SHOULD CONTACT: Mount Pleasant Police Department (New York) 1-914-769-1941. DENIESE HIRAMAN, Age Now: 33, Missing: 08/27/1999. Missing From QUEENS, NY. ANYONE HAVING INFORMATION SHOULD CONTACT: New York City Police Department (New York) 1-212-473-2042. KIRAN NAIR, Age Now: 13, Missing: 07/28/2006. Missing From HONEOYE FALLS, NY. ANYONE HAVING INFORMATION SHOULD CONTACT: Monroe County Sheriff's Office (New York) 1-585-753-4178 or. JALIEK RAINWALKER, Age Now: 23, Missing: 11/01/2007. Missing From GREENWICH, NY. ANYONE HAVING INFORMATION SHOULD CONTACT: Greenwich Village Police Department (New York) 1-518-692-9332. SELAH DAVIS, Age Now: 11, Missing: 02/15/2008. Missing From BRONX, NY. ANYONE HAVING INFORMATION SHOULD CONTACT: New York City Police Department (New York) 1-212-694-7781. IVORY GREEN, Age Now: 32, Missing: 03/06/2004. Missing From UTICA, NY. ANYONE HAVING INFORMATION SHOULD CONTACT: Utica City Police Department (New York) 1-315-735-3301 or 1-315-223-3503. CHRISTOPHER DANSBY, Age Now: 32, Missing: 05/18/1989. Missing From NEW YORK, NY. ANYONE HAVING INFORMATION SHOULD CONTACT: New York City Police Department (New York) - Missing Persons Unit - 1-212-694-7781. JULIE GUTHRIE, Age Now: 48, Missing: 02/06/1977. Missing From KATONAH, NY. ANYONE HAVING INFORMATION SHOULD CONTACT: Bedford Town Police Department (New York) 1-914-241-3111. TIMOTHY GUTHRIE, Age Now: 45, Missing: 02/06/1977. Missing From KATONAH, NY. ANYONE HAVING INFORMATION SHOULD CONTACT: Bedford Town Police Department (New York) 1-914-241-3111. EDMOND TILLMAN, Age Now: 28, Missing: 08/10/2005. Missing From BROOKLYN, NY. ANYONE HAVING INFORMATION SHOULD CONTACT: New York City Police Department (New York) 1-212-694-7781. VALARIE CUCCIA, Age Now: 65, Missing: 05/04/1974. Missing From NEW YORK, NY. ANYONE HAVING INFORMATION SHOULD CONTACT: New York State Police 1-518-457-6811. HOLLY HUGHES, Age Now: 45, Missing: 07/15/1981. Missing From STATEN ISLAND, NY. ANYONE HAVING INFORMATION SHOULD CONTACT: New York City Police Department (New York) - Missing Persons Unit - 1-212-694-7781. JONATHAN GRANISON-BRADLEY, Age Now: 34, Missing: 05/04/2005. Missing From ROCHESTER, NY. ANYONE HAVING INFORMATION SHOULD CONTACT: Rochester Police Department (New York) 1-585-428-6666. SUZANNE LYALL, Age Now: 41, Missing: 03/02/1998. Missing From ALBANY, NY. ANYONE HAVING INFORMATION SHOULD CONTACT: New York State Police - Troop G - 1-518-783-3209 or 1-518-783-3211. HEIDI ALLEN, Age Now: 43, Missing: 04/03/1994. Missing From NEW HAVEN, NY. ANYONE HAVING INFORMATION SHOULD CONTACT: Oswego County Sheriff's Department (New York) 1-315-349-3411. AUDREY NERENBERG, Age Now: 60, Missing: 07/15/1977. Missing From BROOKLYN, NY. ANYONE HAVING INFORMATION SHOULD CONTACT: New York City Police Department (New York) 1-212-694-7781. BRIAN SULLIVAN, Age Now: 31, Missing: 07/07/2007. Missing From ROCHESTER, NY. ANYONE HAVING INFORMATION SHOULD CONTACT: Monroe County Sheriff's Department (New York) 1-585-753-4900. CINDY ROWLES, Age Now: 50, Missing: 08/16/1986. Missing From KINGSTON, NY. ANYONE HAVING INFORMATION SHOULD CONTACT: Kingston Police Department (New York) 1-845-331-8404. 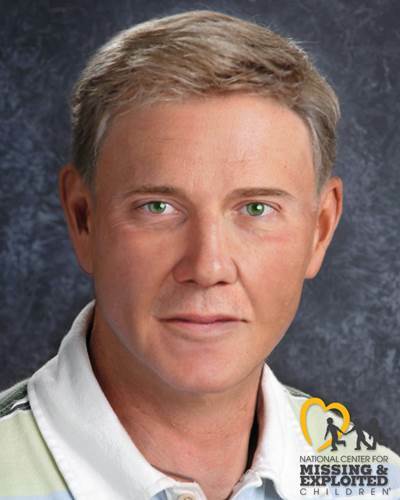 LAUNA MERRITT, Age Now: 52, Missing: 02/22/1983. Missing From SYRACUSE, NY. ANYONE HAVING INFORMATION SHOULD CONTACT: Syracuse Police Department (New York) 1-315-442-5233. KIRK QUINTONS, Age Now: 47, Missing: 09/18/1983. Missing From NEW YORK, NY. ANYONE HAVING INFORMATION SHOULD CONTACT: New York City Police Department (New York) - Missing Persons Unit - 1-212-694-7781. NATALIE NIMRI, Age Now: 12, Missing: 08/29/2010. Missing From CAMILLUS, NY. ANYONE HAVING INFORMATION SHOULD CONTACT: Contact Your Local FBI Office or the Nearest U.S. Embassy or Consulate. CRAIG FREAR, Age Now: 32, Missing: 06/27/2004. Missing From SCOTIA, NY. ANYONE HAVING INFORMATION SHOULD CONTACT: New York State Police Department (New York) 1-518-630-1700. DENISE SHEEHY, Age Now: 65, Missing: 07/07/1970. Missing From WOODSIDE, NY. ANYONE HAVING INFORMATION SHOULD CONTACT: New York State Division of Criminal Justice Service (New York) 1-800-346-3543. 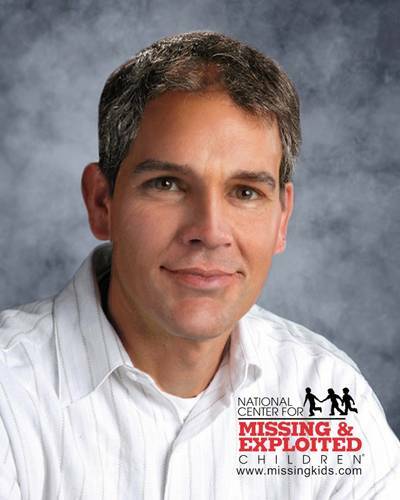 JOSEPH HELT, Age Now: 49, Missing: 01/16/1987. Missing From PINE BUSH, NY. ANYONE HAVING INFORMATION SHOULD CONTACT: New York State Police (Ellenville, New York) 1-845-626-2800. MARY WESOLOWSKI, Age Now: 60, Missing: 08/18/1971. Missing From GLENS FALLS, NY. ANYONE HAVING INFORMATION SHOULD CONTACT: Glens Falls Police Department (New York) - 1-518-761-3840. MARK SEELMAN, Age Now: 45, Missing: 06/07/1990. Missing From REMSEN, NY. ANYONE HAVING INFORMATION SHOULD CONTACT: New York State Police - Whitesboro - Missing Persons Unit - 1-315-736-0121. MARTIN CRUMBLISH, Age Now: 55, Missing: 05/03/1981. Missing From DOBBS FERRY, NY. ANYONE HAVING INFORMATION SHOULD CONTACT: Dobbs Ferry Village Police Department (New York) 1-914-693-5500. BRANDON MEMA, Age Now: 21, Missing: 10/27/2000. Missing From BROOKLYN, NY. ANYONE HAVING INFORMATION SHOULD CONTACT: New York City Police Department (New York) 1-212-694-7781. MARLENE SANTANA, Age Now: 33, Missing: 10/21/1985. Missing From NEW YORK, NY. ANYONE HAVING INFORMATION SHOULD CONTACT: New York City Police Department (New York) - Missing Persons Unit - 1-212-694-7781. YOUSSEF HASSAN, Age Now: 16, Missing: 08/11/2010. Missing From NEW YORK, NY. ANYONE HAVING INFORMATION SHOULD CONTACT: Federal Bureau of Investigation (New York) 1-212-384-3910 or your local FBI office. CYNTHIA CONSTANTINE, Age Now: 65, Missing: 07/11/1969. Missing From OAKDALE, NY. ANYONE HAVING INFORMATION SHOULD CONTACT: Suffolk County Police Department (New York) 1-631-852-6000. QUA'MERE ROGERS, Age Now: 13, Missing: 12/01/2008. Missing From SYRACUSE, NY. ANYONE HAVING INFORMATION SHOULD CONTACT: Syracuse Police Department (New York) 1-315-442-5111. FREDERICK HOLMES , Age Now: 65, Missing: 05/25/1955. Missing From GRAHAMSVILLE, NY. ANYONE HAVING INFORMATION SHOULD CONTACT: Sullivan County Sheriff's Office (New York) 1-845-794-7100. AMBER SHAH, Age Now: 13, Missing: 08/01/2007. Missing From BALDWIN, NY. ANYONE HAVING INFORMATION SHOULD CONTACT: Nassau County Police Department (New York) 1-516-573-7322. LUBNA SHAH, Age Now: 14, Missing: 08/01/2007. Missing From BALDWIN, NY. ANYONE HAVING INFORMATION SHOULD CONTACT: Nassau County Police Department (New York) 1-516-573-7322. TASHFEEN SHAH, Age Now: 12, Missing: 08/01/2007. Missing From BALDWIN, NY. ANYONE HAVING INFORMATION SHOULD CONTACT: Nassau County Police Department (New York) 1-516-573-7322. SEAN EVANS, Age Now: 37, Missing: 05/17/1984. Missing From WATERTOWN, NY. ANYONE HAVING INFORMATION SHOULD CONTACT: Watertown Police Department (New York) - Missing Persons Unit 1-315-786-2629. SARA WOOD, Age Now: 38, Missing: 08/18/1993. Missing From LITCHFIELD, NY. ANYONE HAVING INFORMATION SHOULD CONTACT: New York State Police (New York) 1-315-366-6000. ETAN PATZ, Age Now: 46, Missing: 05/25/1979. Missing From NEW YORK, NY. ANYONE HAVING INFORMATION SHOULD CONTACT: New York Police Department (New York) - Missing Persons Unit - 1-212-694-7781.